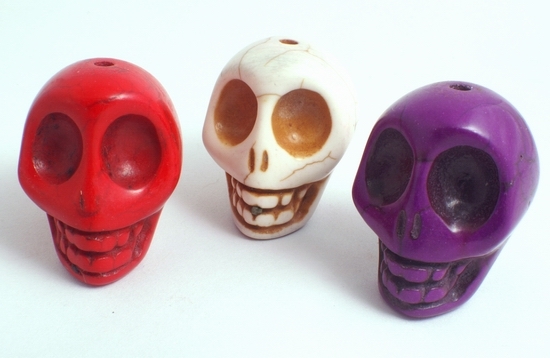 Price is per skull beads. Each measures a large 32mm x 27mm x 25mm - drilled through head from top-to-bottom ready to thread. Ideal as a focal bead on a necklace or as earrings. Dyed - but colour fixted. Choose either red, purple, or bone white from above drop down box.